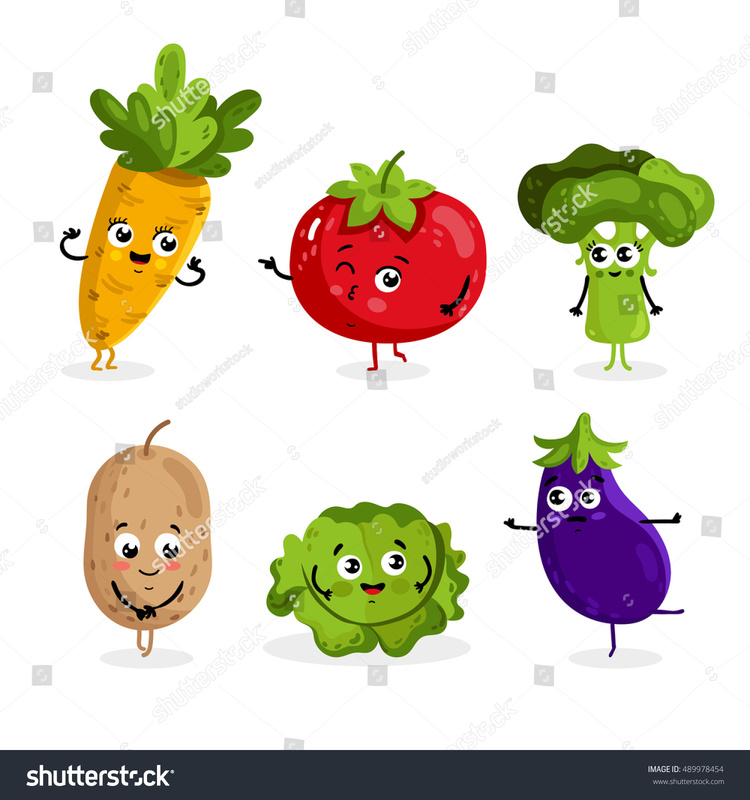 Cartoon vegetable cute characters face isolated on white background vector illustration. Funny vegetable face icon vector collection. Cartoon face food emoji. Vegetable emoticon. Funny food concept.